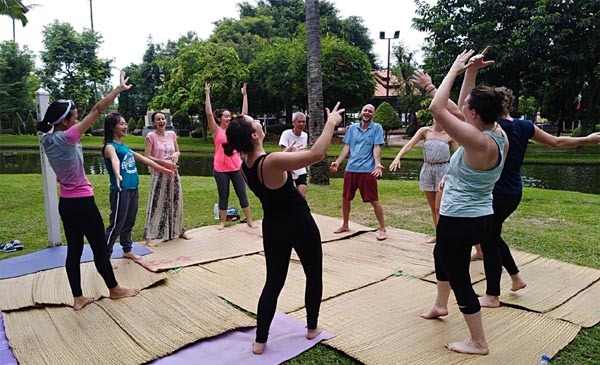 Yoga In The Park - Chiang Mai is a daily gathering of yogis in Chiang Mai where resident/traveling yoga teachers take turns in teaching free yoga classes to anyone who wishes to join. 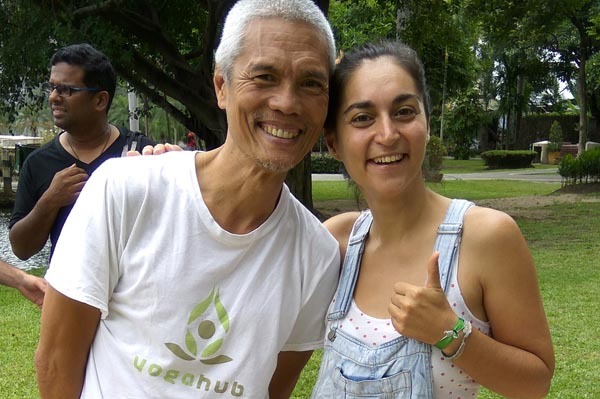 Tammy, a yoga teacher I met in Siem Reap (Cambodia) and reconnected here, told me about it and I was just stoked! 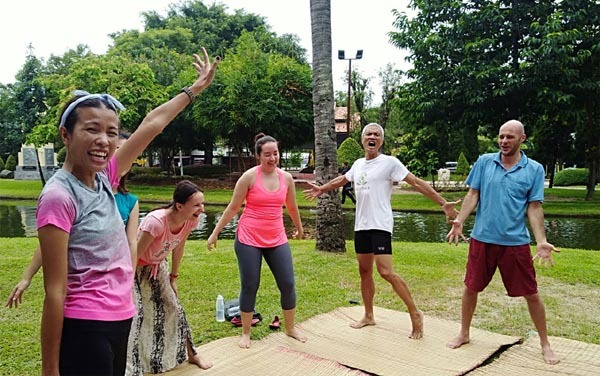 (Aug 2, 2018) Saffiya is an energetic French yoga teacher who calls Chiang Mai her home. She is equally as beautiful and bubbly as the yoga she teaches. In Laughter Yoga, you initially fake the laugh until it feels real. 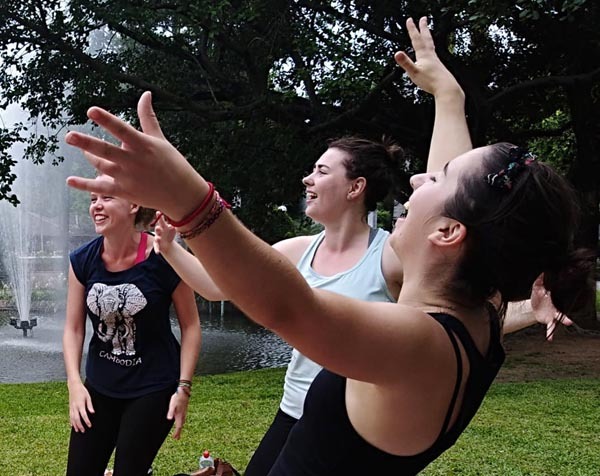 The brain cannot distinguish fake laughter from real laughter, so even faking it gives the same benefit to the body as a real laugh does - that is the premise of Laughter Yoga. Saffiya brought out the child in us. I was reminded of Cat Steven's widely popular song, Child for a Day. We frolicked like kids at play to the astonishment of other people in the park. We laughed our hearts out like nobody was listening. We played pretend and finished it with child-like laughter. 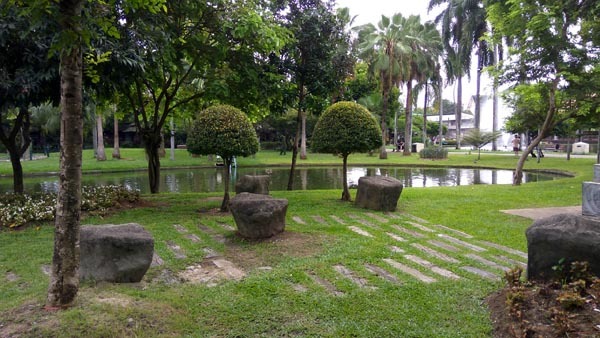 In the end, it was a feeling of rejuvenation and feeling a lightness of being. 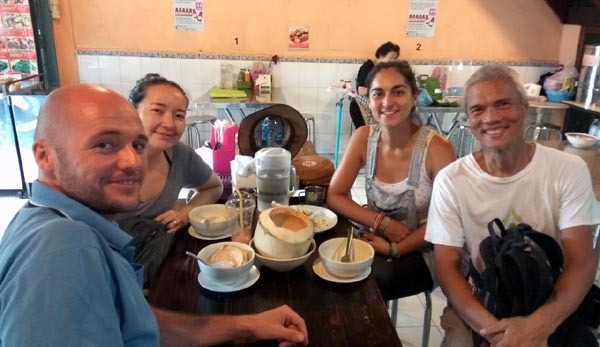 The practice was followed by a hearty and engaging rice porridge with me, Christoph, Saffiya and Makpal at Talat Somphet Market. 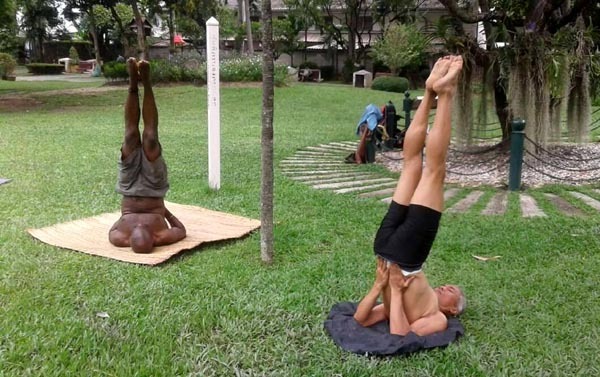 (July 31, 2018) Christoph conducted what turned out to be a rare all-male yoga class. 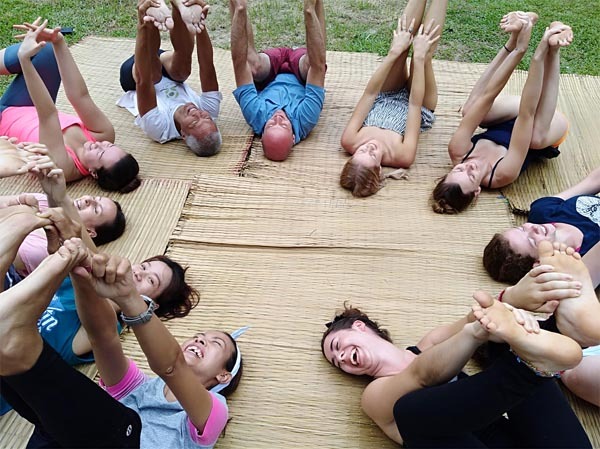 He had an infectiously calm and reassuring demeanor as he verbally cued us in weaving one asana to the next, in a meditative vinyasa that inspired confidence. He had a light touch to his adjustments. 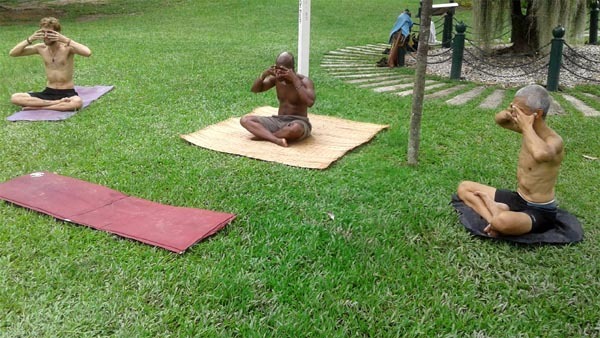 We covered standing poses, backbends, one-legged balances, core fortification, twists and inversions. 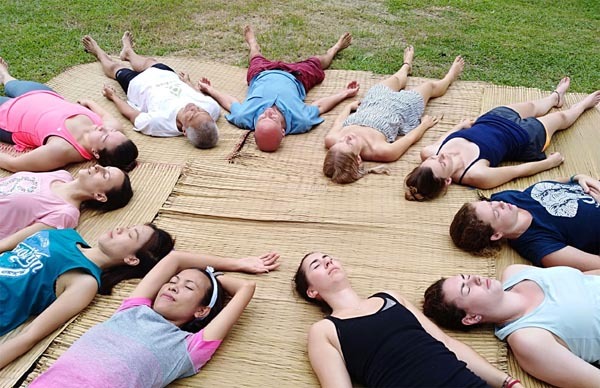 This was capped by pranayama as we then transitioned into Savasana. 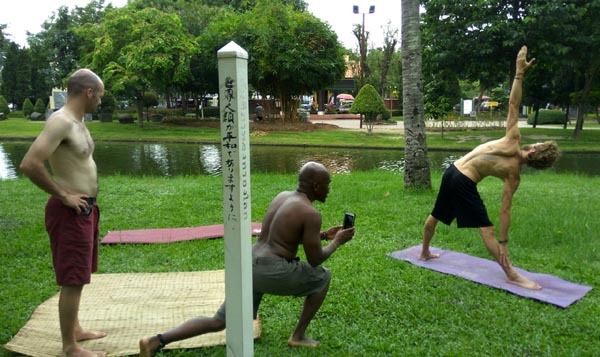 Equally cool was meeting members of the yogi community in Chiang Mai - Victor Crouch and Devin Faris. 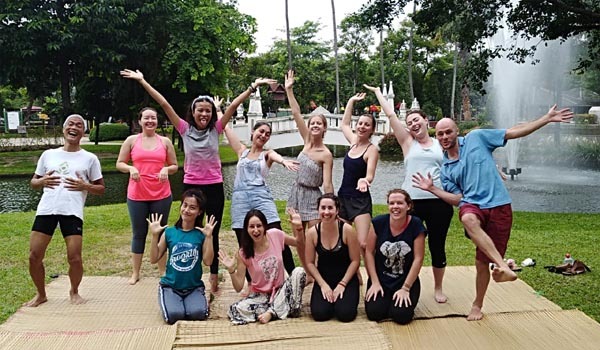 Yogis converging in such a great place - Chiang Mai. How cool is that? Later, we went out for brunch and continued what can only be seen as a promising connection. Thanks Tammy Hayano for introducing me to this awesome group! Namaste everyone.